Focusing on all aspects of vertical development projects and their respective sites, this committee serves as liaison between ACEC/NC and multiple owner types and related agencies (including but not limited to higher education institutions, NC Office of State Construction, municipalities, K-12 school districts, healthcare institutions and private industry) and monitors their activities in project planning, design, construction, budgeting and selection of design firms. Focus areas include building construction, site and infrastructure development, code compliance, sustainability and energy conservation. This committee also focuses on economic development activity that affects projects and member firms, with the goal to develop a mutually beneficial relationship between ACEC/NC and economic development organizations such as the North Carolina Economic Developers Association (NCEDA) and raise the visibility and profile of member firms within the economic development community. Small and Large Business Leaders interested in improving the efficiency and operation of large and small firms are members of this committee. 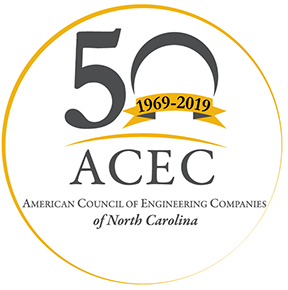 The objective of this committee is to reach out to and expand opportunities for business members of ACEC/NC, protect the interests of engineering firms, and offer business leaders a chance to leverage the collective knowledge of a larger group, to improve overall performance related to human resources, financial, legal, business development, and operations. This committee monitors State and National legislation that may impact the engineering industry. The committee compiles the Councils legislative agenda for approval by the Board of Directors and assists in the lobbying efforts to support that agenda. The committee also promotes and organizes events that focus on furthering the Councils legislative agenda.